Manage Your List of Colleges. It is easy to come up with 3-5 schools you want to go to. The chances of those schools having scholarship money available and needing someone in your position as a freshman are actually pretty small. You can be the right athlete for the right school but if they aren’t recruiting your position, you won’t be playing there. In our experience, having 20-30 schools that you have established initial contact with is about the right number. Initial contact means you’ve contacted the program and they have responded (either to you or your coach) with a letter, email or phone call. 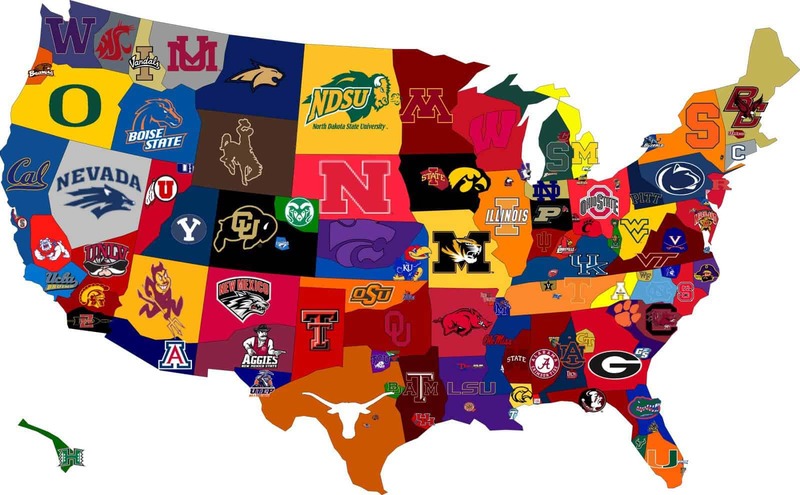 The ultimate goal is to have 5-10 schools mid-way through your senior year; you want a 1-2 safety schools, 3-5 schools showing serious interest (likely) and 3-5 dream schools where if things go perfectly for you might be able to make the team. Safety schools are your emergency options. Emergencies can mean injury, family obligations or losing a scholarship offer last minute. These are the schools you qualify for academically, have the ability to play (or walk-on) and you don’t need a scholarship to afford tuition. These schools are here in case everything goes wrong and you need to find a place to start your education. For most athletes, these will be your local Junior Colleges or smaller state schools. It’s good practice for talking to coaches and understand how to communicate with them. You would rather make mistake with a coach at your safety school than a big DI school who might not give you a second chance. If you have to go to this school (because of injury, family emergency or otherwise) the coach will be much more receptive to you than if you only contacted them because nothing else worked out. Negotiations – There isn’t much you can do as a recruit to increase your scholarship with a coach, but, having multiple schools making offers is one of them. Being able to tell a coach you have other (legitimate) offers is your best negotiation tactic. Coaching Changes – You might have a spot all locked up with a school, but if that coach leaves, your opportunity might leave with them. Having other schools will give you a backup plan other than a safety school. You change your mind – As the time approaches to sign your senior year, the school you wanted as a sophomore might not be the same as a senior. Injury – Some schools might pull their offers if you are injured, others might not. The truth is, you don’t know how a school will react to an injury, so you need to have options. The goal of having dream, likely and safety schools is to ensure you have options as a recruit. It’s not easy to find 5-10 interested schools by your senior year, but it is even harder if you are only contacting schools you have a hard time qualifying for. Don’t just consider schools based on division level. You are using sports to get an education and help pay for school. Playing DI sports can be great, but many times the education and scholarships are better at other division levels. If you are having a difficult time getting started, use our school search tool to begin making your list. Once you are emailing coaches and getting feedback, organize those schools into a list using the rules described above. If you have more questions, contact us via email (info@athleticscholarships.net).